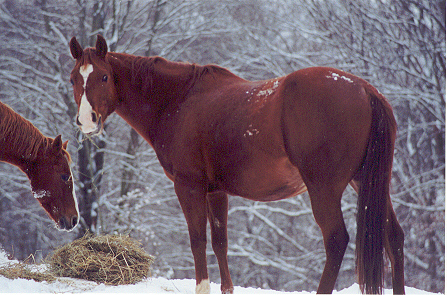 Holly was foaled in 1992. She is a granddaughter of Zippo Pine Bars, Great Granddaughter of Zippo Pat Bars, Oak Bar, Dry Doc, Alleybar. She is reg. AQHA, FQHR - 87.5%. I love this picture of Holly..